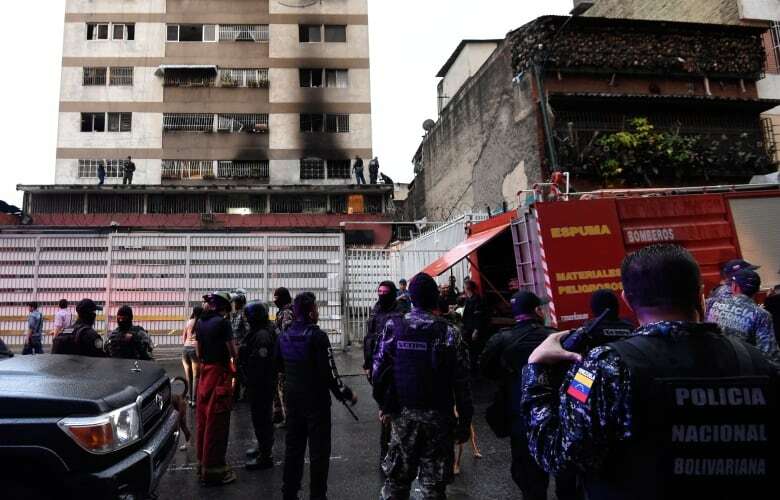 Ulrike E. Franke said she's not surprised that someone allegedly used an explosives-laden drone in the attempted assassination of Venezuelan President Nicolas Maduro. 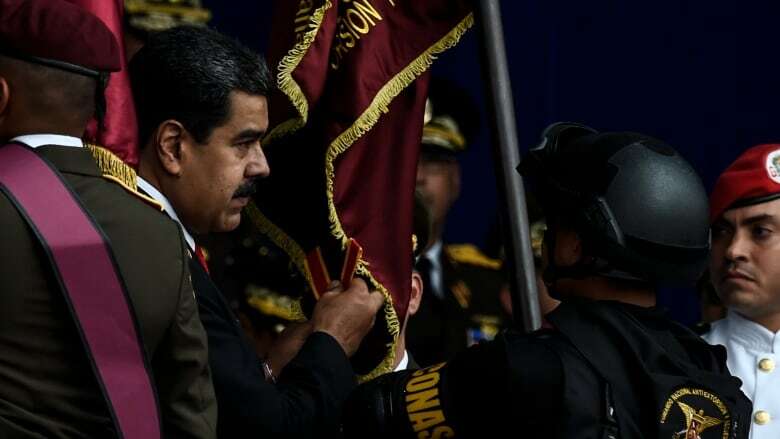 The attack took place while Maduro was delivering a speech to hundreds of soldiers live on television, government officials said. 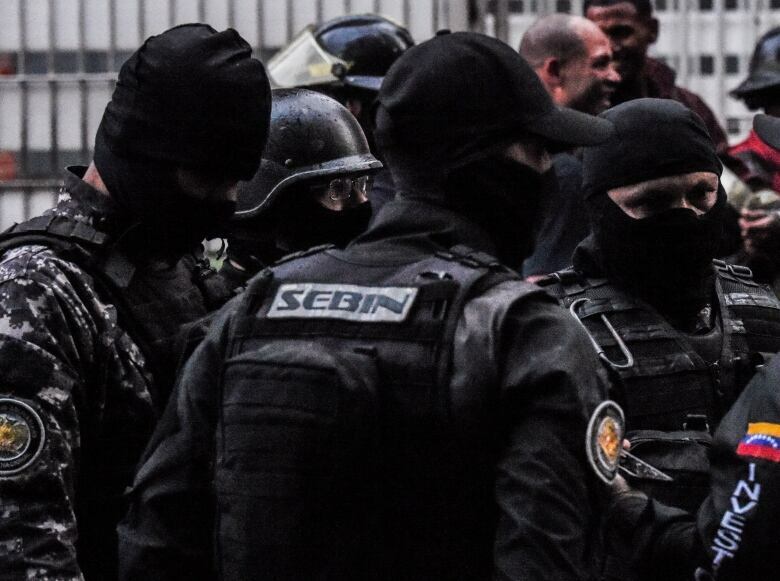 Venezuelan officials have arrested six people. Franke, a policy fellow with European Council of Foreign Relations, spoke to As It Happens guest host Matt Galloway about just how easy it is to use a store-bought drone for violence. What did you think when you heard this [news]? To be honest, I was just not surprised at all. I mean, the drone research community, everyone that works on drones, has very much been expecting that type of attack. I can't really say whether what we've heard out of Venezuela really did happen as the government claims, but it's certainly very plausible and it makes a lot of sense to use, you know, commercially available drones that way. Explain that to us why had you thought that this would happen. Anyone can buy a rather cheap drone on Amazon or something like that for not that much money, and you can do many things with it. A lot of people use hobbyist drones to take pictures and film movies and that kind of thing. If you have a drone that can carry, you know, 13 pounds of photography equipment, such as the drone that allegedly was used in Venezuela, then you can also put another payload on it — such as, you know, explosives. What do we know about the drone that was apparently used in this assassination attempt? Was it a commercially available one? It's kind of a professional or semi-professional drone that a photographer would use and put photography equipment on it. That can carry about 13 pounds or six kilograms of equipment. If you exchange photography equipment with explosives — TNT that apparently was used — you can get quite an explosion with that. Is it that straightforward to take the camera off and put the bomb on? We've already seen non-state actors such as, you know, ISIS, the terrorist organisation, do that over the last few years. And to be honest, yeah, that is relatively straightforward. I mean once you have the explosives, you basically just need to strap them on the drone and then fly it. This is really isn't rocket science. And so who would be operating this? I mean, how far away could you be from the drone itself, if you are flying it into — as we saw here, apparently — a group of people who are standing up on a podium? Most drones that are commercially available certainly have a range of, you know, a few hundred metres up to up to a few kilometres. The attacker could have been standing in the crowd. They could have been standing in a nearby building. They could have been standing somewhere, you know, reasonably close by but ... far away enough to not be hit by the explosion. Have we ever seen a drone, a commercial drone, used like this before? This seems to be the first time that that happened in a kind of purely civilian context outside of a conflict zone. 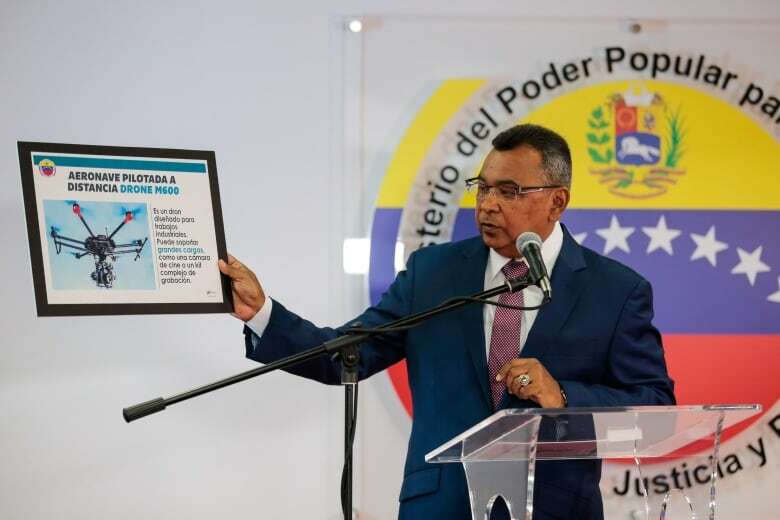 The Venezuelan government has been saying that this attack was foiled, it was not successful, because the government or military operatives managed to jam the signal for the drones. How do you do that? Jamming just means that you try to interfere with the signal between the operator ... and the drone. I was just surprised that the Venezuelan government said that because that implies that they were prepared for that kind of attack and had jammers with them. To be honest, I just didn't think that, you know, the security detail of the Venezuelan government or the Venezuelan president was so well-prepared for drone attacks. When it initially was said that the drone was shot down, that seemed more plausible to me. What else are people doing to try and stop something like this from happening? Jamming is one. Shooting down drones with different kind of projectiles is another. One system is actually using drones against drones. So we've seen this in Japan where you have drones with nets ... attacking rogue drones to bring them down. And I think the funniest thing to bring down a rogue or attacking drone is with eagles — the actual animal. 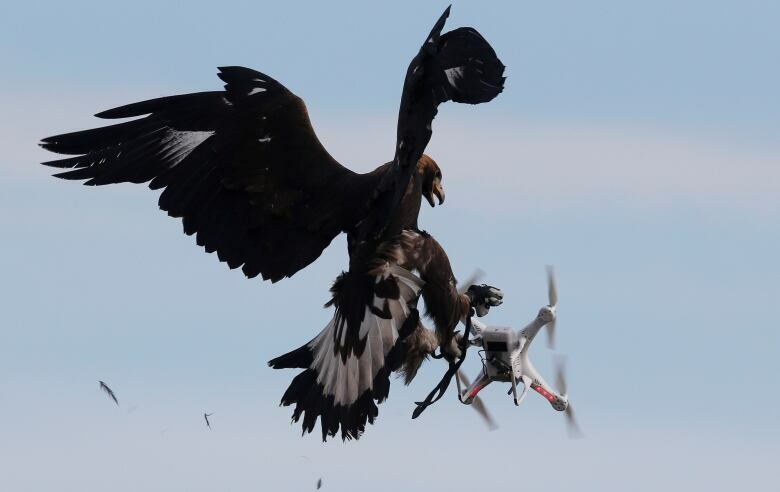 The Dutch and the French have been training eagles to bring down smaller drones. What, does the eagle just go and attack the drone? Is that what happens? But, I mean, these are somewhat smaller drones. The search for a good working and cheap anti-drone technology really is one of the most important things currently in drone technology investments. The company that comes up with something that works well — they will be able to make quite a lot of money with it. Written by Sheena Goodyear with files from Associated Press. Produced by Imogen Birchard.